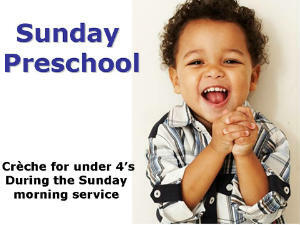 There is a creche available during the Sunday morning service for pre-school children aged 4 years and under. It is a fun time of singing, playtime, colouring and reading Bible stories for your little ones. We are currently using "Bubbles" material. and lots and lots of toys!"